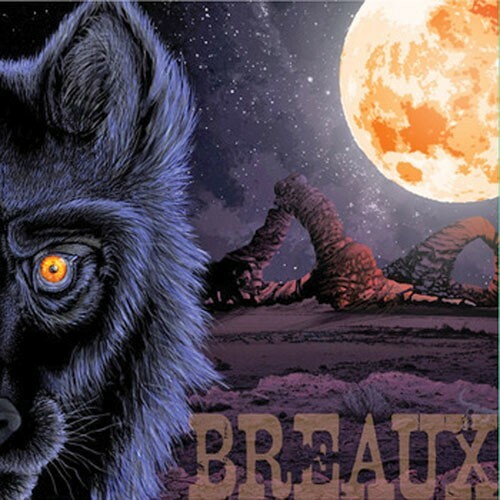 Fans of hard music who aren’t happy unless their eardrums are completely obliterated and their speakers are blown out should snag a copy of the latest full-length from Breaux and prepare to be deaf for a week. The metal/Southern rock quartet knows how to throw down a crushing barrage of heavier-than-heavy guitar riffs, throat-rending vocals and skull-pounding drums with the lethal efficacy of a swarm of zombies in a feeding frenzy. Black Wolf kicks off with the surprising party vibe of “Ruiner,” which, even on a recording, sounds like the crucial ingredient to the perfect mosh pit. Arguably, the most epic guitar on the album can be found on “Fears,” with Greg Wilson rapidly switching between chugging Southern swampiness and dizzyingly fast licks. Near-monotone, chant-like backing vocals on “Skinwalker” give the track a hopelessly desolate feel. Lead vocalist Sam Simpson has some serious skill, able to unleash deep roars as well as banshee-like screeching. The album ends climactically with its longest song, the five-minute narrative-rich “The Depth,” followed by “Sinking,” a spacey instrumental track that creates an encompassing sense of eerie atmosphere. If you aren’t a rabid fan of classic horror/slasher movies, there’s still plenty to appreciate on the debut album by horror-punk/doom trio Shadow Windhawk & the Morticians, from the pervading spooky mood to the killer guitar and pounding bass. But pulling out that dusty VCR and experiencing films like A Nightmare on Elm Street, Halloween, Nightbreed, Salem’s Lot and more will reveal the meaning behind the lyrics on Casket Spray, since each of the EP’s six tracks is dedicated to a classic blood-splattered death-fest. The inclusion of several snippets of original dialogue effectively creates a strong visual element, as do the evocative lyrics. The somber mood on “The Ossuary”—which references Cemetery Man—is palpable, as Windhawk sings, “Death is a new home/ Forgotten and alone with our ashen skulls laid side by side.” The counting-based bridge on “1428”—about trying to not get taken out by Freddy Krueger—is as cheesy as when that chick got sucked through the tiny window on her front door, but overall, Casket Spray is a dead man’s party. The latest album from singer-songwriter/multi- instrumentalist Jake Burch might begin with synth-filled dream pop, but that doesn’t stop the EP from ending on a twangy Americana note. And Burch’s voice jumps around in style just as much as the stylistically diverse four tracks, ranging from a warbling falsetto that sounds like a dialed-back Anthony Green to a deeper, huskier croon. Burch is skilled in both vocal modes, but his mid-range, emotion-filled voice on concluding track “Pick Up” ultimately feels the most natural. 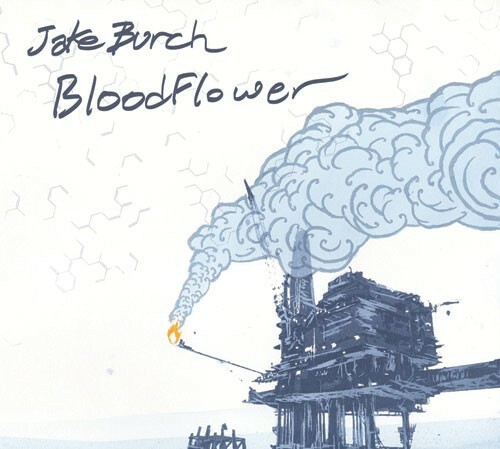 “BloodFlower” is colored with lush synths and Burch’s voice at its most unearthly as he sings “Shut your mouth/ Keep your eyes wide.” The intricate clicking, clacking percussion and acoustic guitar on “Radio” is a pleasingly grounding foil to the song’s trippy mood. On the haunting “Let the Blackbirds In,” near-whispered mentions of a mysterious garden and an ocean conjure images of those settings, with enough description left to the imagination that the listener can fill in their own details.